I work for The Group Real Estate in Idaho Falls. I have worked most of jobs here in Idaho Falls. As a young boy, I grew up in a small town called Firth, just 20 minutes south of Idaho Falls. I went to Firth High School. A school, at that time, that only had a good 400 students in it. My graduating class was just over 80 people, which at the time was one of the “smaller” graduating classes. The things we would do, as we lived on farm land and out “in the boonies” were all sorts of things you can think of. Our parties consisted of letting out horses and trying to ride them.. yes, I said ‘trying.’ We had a chicken coup where I lived and I have one specific memory of letting our rooster out. Now, this rooster was mean. He would attack you if your back was to him. If you got close to the hens. Anyway he could, he was coming after you. As we were having this party, and my parents weren’t there (of course), we decided it would be hilarious to let the rooster out and run away from it. Well, this didn’t bode too well with a friend of mine, who wasn’t wanting to play with the rooster, who was eventually attacked from behind. After the fun festivities of playing with the rooster, we decided it was better of to steal one of my friends’ girlfriend’s cars. And not only steal it, but drive it backwards, as fast as we could, up and down the road I lived on. As I look back on this specific party, I don’t know why I am still alive. We drove that Buick LeSabre about 45 miles per hour, backwards, down the farm road I lived on. As I got going, I lost control of the car, and it started to swerve back and forth. Now, my saving grace was the old 80’s Buick’s were heavy and solid. We just sorta swayed back and forth, until me grabbing the brakes as hard as I could, stopped the car completely. These were the things we did growing up in Firth. As a young kid, living on a farm, I learned the great ethics of working hard and getting my hands dirty. We had a barn, we had a smaller version of the so-called farm life. As I look at it, I look back on that as the way that I learned the work ethic I had today. I also learned heavily about sacrifice. My dad wasn’t a farmer, or builder, all the things that his dad was, and he had worked as growing up. But he knew that he always wanted to have a farm style life. Working the farm. 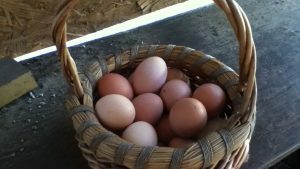 Caring for the chickens and getting eggs. Having cows in our pasture to graze. Having a strong, and well used, garden, growing our own produce. Both my parents come from Rigby, Idaho. Which isn’t as small as Firth, but spreads more with the farm life. They were brought up learning to work hard, learning the farm life, building, and working after school. Even when we lived in Iowa, where dad was going to law school, my mom worked on in an egg farm. The ideals of hard work were always there. 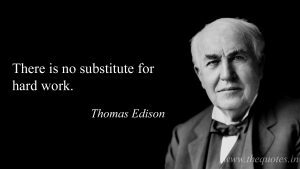 Now, I point this out, because as I grew up, if we didn’t know the ideals of hard work or how to work, we would get into trouble. I highlighted this at the beginning, as I talked about some of the parties that I would go to, or that were simply at my house. Hard work is something that can be lost on a lot of people. Now, I am not the ideal of this, either. My dad saw that I had a great athletic future, so he sacrificed hour after hour at his job, to pay for me to be able to do sports, including summer sports. Now, as I say this, I am specifically talking about the proper style of working that working with your hands, labor, and farm life can teach. I may not be the best ideal for outdoor working, or making sure that I am up to date on all my fixings on my house. But due to learning this work ethic, it translated to my athletics. When I nabbed a collegiate athletic scholarship, I was aware that they had worked. Aware, being the key work here. I didn’t realize it, till much later. After I had kids of my own. I am doing all I can to push my children to do what they love, but to also understand the ideals of hard work, why we work hard, and understanding it’s importance. Whether this be in the dancing they do, the gymnastics they do, or simply in their school and house work. I am forever grateful to my dad. The ideals he taught me in working hard, sticking to something and showcasing perseverance have lent themselves greatly to me. The sacrifices he made to work hard so that myself, and my siblings, could have the life growing up we received. Learning to work, learning to believe in ourselves, and making sure that we pass on that ideal.